Local fees and taxes (14%) not included. There's a new Mayan pyramid on Cozumel! It's called the Miramar Condominiums and it's located 2 miles north of town. There are only 12 units in all, which must make this the coziest pyramid ever. You will find the privacy of this low density setting enjoyable. Beautiful in its own right, the sloping design allows guests to bask in the glowing sun on all the units' balconies and terraces and to salute that sun with a frosty Margarita when it sets. 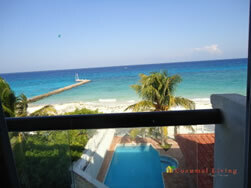 And every unit in the Miramar condos on Cozumel does have its own balcony or terrace. 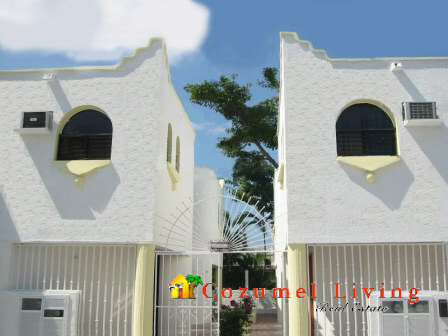 Miramar 204 is a 1-bedroom unit that can accommodate 3 adults or 2 adults with 2 children. There is wonderful snorkeling off the Miramar. You can see a huge variety of iridescent fish, colorful coral and large sponges. Maximum Occupancy 3 Adults, or 2 Adults + 2 children. This beautiful condominium on the north coast of Cozumel in the tallest building on the island, offers 3 bedrooms, a studio, and 4 full bathrooms, where you can enjoy 21,500 square feet of a beachfront sandbox complete with palapas, gorgeous infinity pool & sundeck with pedestrian walks surrounded by gardens and 24 hour security with valet parking. Located in a excellent zone for snorkeling, where you can see a huge variety of iridescent fish, colorful coral and large sponge. You and your family will enjoy your vacation in this quiet, resort condo building, where you are 4 minutes to the golf course and 10 minutes to downtown, restaurants, shops, movies, and grocery stores. 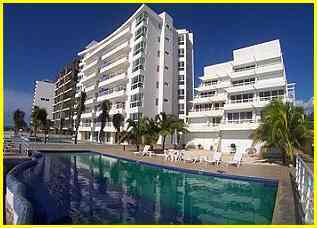 Beautiful oceanfront, 2 condominiums on the 2nd and 3rd floors located on the north coast of Cozumel each having 3 bedrooms and 3 bathrooms. Master bedroom has ocean view and also the master bathroom has a tub with ocean view. You can sit in the living room viewing the ocean or view while cooking or dining. 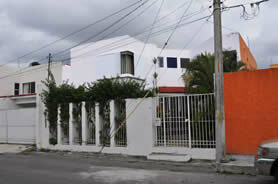 During the day enjoy the white sand and the swimming pool relaxing at this private condominium. ridescent fish, colorful coral and large sponges. You and your family will enjoy your vacation in this quiet community, where you are 2 minutes to the golf course and 10 minutes from downtown, restaurants, shops and groceries stores. 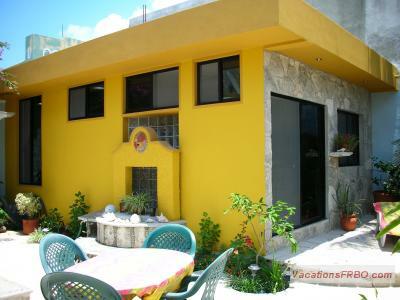 4 bedroom 2 1/2 bathroom home with a pool conveniently located within walking distance to the airport, 1 mile from the ocean and downtown Cozumel. 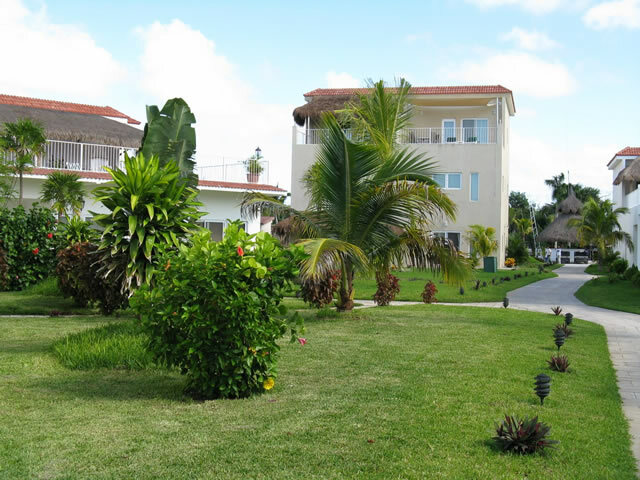 This conveniently located property is an excellent option for vacationers looking for a big comfortable home with Central A/C and pool. 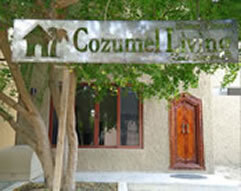 This property is ideal for enjoying Cozumel at a great price. This is a perfect choice for large families or groups. between 3rd street and A. Rosado Salas. on Amenities, Services, and Rates. Located in beautiful "Corpus Christi", Coral Court is centrally located just a 5 minute walk from all amenities including top restaurants and the main shopping area. or visit any of the magnificent Mayan ruins.